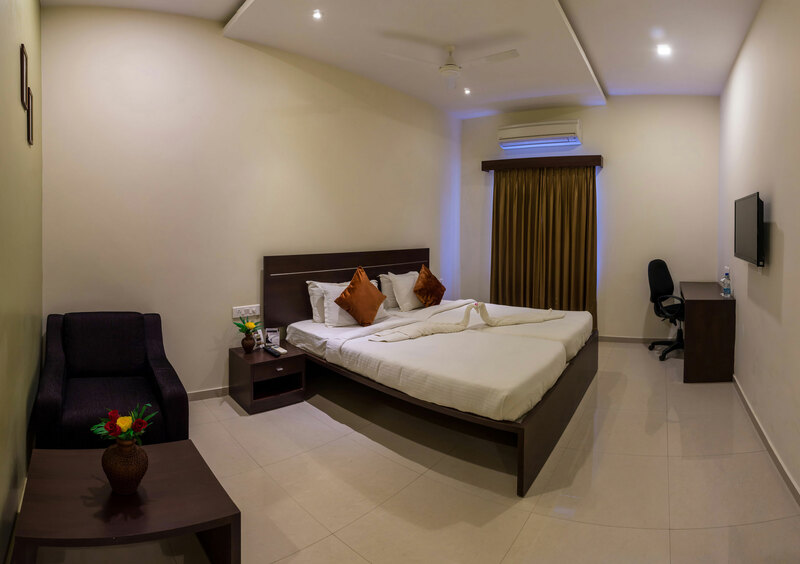 Situated in the heart of Konaseema, Somisetty Landmark offers state of art facilities to make you stay comfortably. Every aspect was take care so that you will never regret staying with us or celebrating events at our hotel. 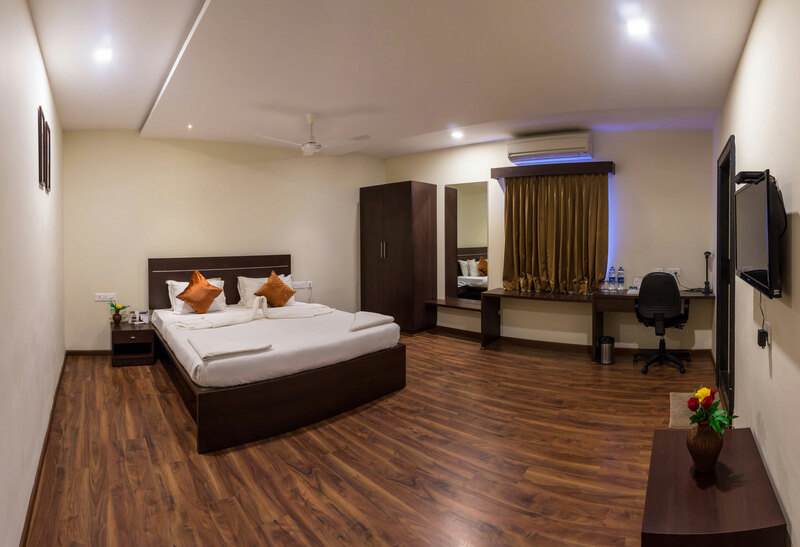 Some of the features are like in-house laundry (first of its kind), atrium lobby, 100% auto power backup, Wi-Fi internet connectivity, intercom facilities, ample car/2 wheeler parking, doctor on call, valet service & many more to tell about. Our team is always available a phone call away. Just dial the operator/reception & every request of yours can be catered through-out the day. You can work peacefully or enjoy a cozy sleep in our well appointed rooms where in, our armed security service team is there 24 hours to safeguard you & your belongings. Room service & housekeeping are also available to cater through-out the day. The whole property is equipped with latest & branded LED lighting. These save a lot of electricity, which is generated from non-renewable sources of energy. The placement of the lights is so well optimized that it’s aptly illuminated & also makes the place look elegant. Even the focus lamps & elevation lighting has LED lamps there by reduces the electricity consumption. 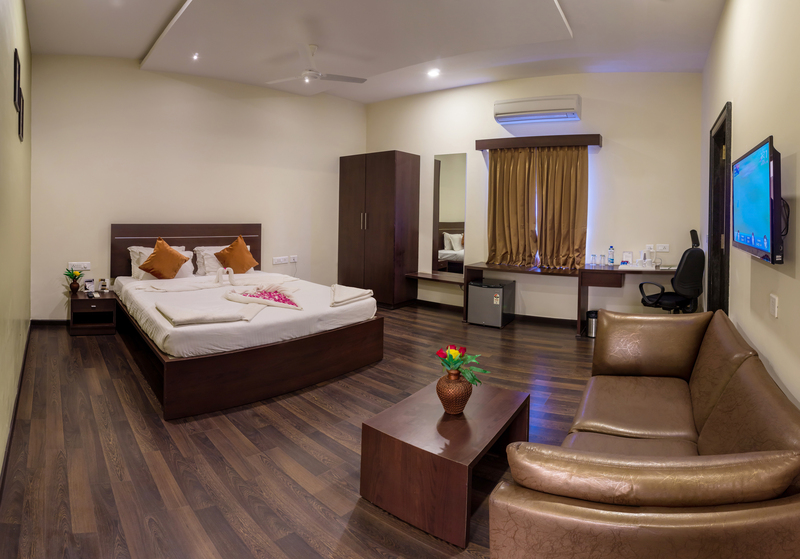 All our guest rooms have rubberised night curtains and thicker, tinted Fenesta windows. This will prevent outside heat from entering the room & thus requires less air-conditioning energy for cooling. Hotel Somisetty Landmark has made a constant effort to reduce its paper consumption by reusing office stationery and reducing paper usage in other areas altogether such as brochures, flyers (We now send only e-newsletters), WC bands, etc. Biodegradable wet garbage is directly composted in and around landscaping of the hotel, totally eliminating the dependence on chemical fertilizers. All the plastic containers or bags used for packing & parceling are bio-degradable & are as per standards and government norms. The sewage drains have been fitted with a protective lining, treated & cleaned on a weekly basis to prevent contamination of the ground water. The bore water is treated with an in-house RO plant and the waste water emitted during this process is utilized for cleaning, washing and other ancillary areas. The used plastic & pet bottles are stored separately there taking care that they don’t get mixed with wet garbage harming the mother earth and are delivered to plastic recycling industries. Address:# 7-89/2, Cinema Road, Tatipaka, Dindi Area, Razole Mandal, Konaseema, E.G.Dist, Andhra Pradesh-533249.